Cultus Lake, B.C. 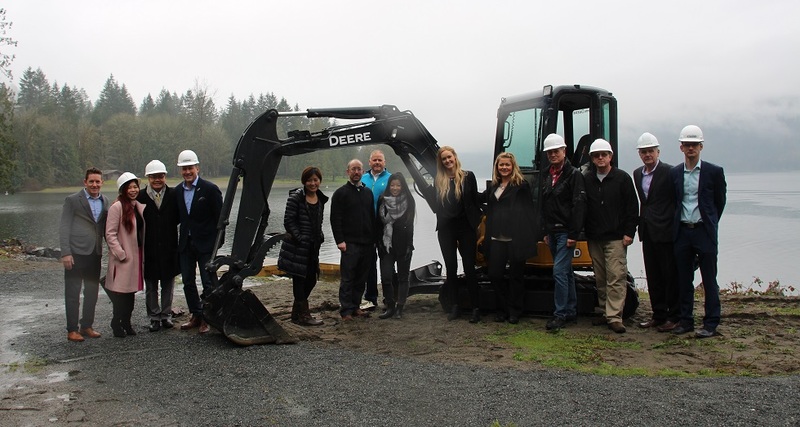 Alture Properties broke ground today on Lakeside Cultus Lake with a ceremony marking the beginning of construction on a $23 million, high-end, luxurious resort-style condominium and private marina. The 21 high-end homes come with designated boat slip and are being built on the last waterfront location on Cultus Lake that has freehold ownership opportunity. The majority of property around the lake is Crown Land and only a few areas are designated as private. Lakeside is the only site on the entire lake that allows for new development for condos, homes, or resorts. Lakeside Cultus Lake is a collaboration between Jim Young, a Cultus Lake homeowner, and Alture Properties. Young is part of a four-generation family at the lake. He and his family have been coming to Cultus Lake for more than 58 years. Alture Properties is a real estate developer with projects in BC and Alberta. Chilliwack’s Kerkhoff Construction has been awarded the contract and will lead the construction for the project. The land Lakeside is being built on has a unique history as in 1920 it was carved out of Crown land to be the home of a provincial fish hatchery which closed in 1964 when the fisheries ministry gave up trying to stock the lake with trout. The project is starting construction at a good time as the Fraser Valley Real Estate Board (FVREB) reported the Fraser Valley saw a 43 per cent increase in sales in February 2017 compared to January 2017 and was just above the 10-year average for the month with 108 sales. Lakeside Cultus Lake offers buyer’s a resort lifestyle for part-time, or permanent residence. Units range between 1,175 to 1,750 square feet and are priced from $840,000 to $1.6 million. The residence is surrounded by one of the most popular provincial parks in British Columbia and located a comfortable 90 minutes from Vancouver, with no border lineups or ferry crossings. Lakeside was designed by Bryce Rositch of Rositch Hemphill Architects with interiors by award-winning designer Debbie Evans.. Evans, a registered interior designer and LEED Green associate, is recognized as one of Western Canada’s top designers as she’s won three National Awards for her work. At Lakeside, the design is elegant and well-appointed with inspired kitchens, wood floors, air conditioning, and open concepts. Each unit includes a large balcony with unobstructed west-facing views to the pristine lake and mountains with stunning B.C. sunsets.